On behalf of Admin of JML Law, A Professional Law Corporation posted in Car Accident on Tuesday, Mar 20 2018. Nobody is ever prepared for a car accident or knows what to do in case they get injured in a motor vehicle crash. Moreover, even if you were warned first thing in the morning that you would get into a car crash later that day, you would still have no idea what to do after an accident in order to seek compensation. That is why we brought our Long Beach car accident attorney from the JML Law to outline (and answer) the four most common questions victims of motor vehicle accidents ask right after they have been in a road collision. Q: What do I tell the 911 operator after a car crash? 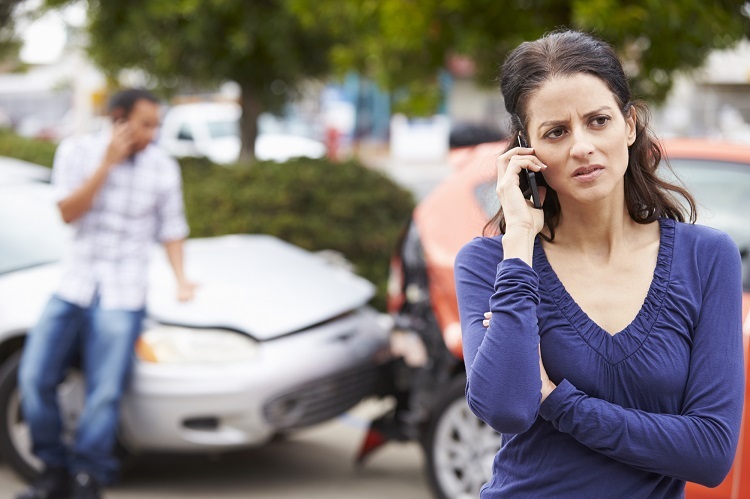 Many people in Long Beach and all across California wrongfully believe that what they say during their post-car accident phone call to 911 will ultimately affect their personal injury settlement or verdict, or in any way hurt their claim, or on the contrary, help them maximize the value of their claim. While avoiding saying things such as “I am so sorry,” “I should not have done that,” “It was my fault” or other comments that may make you sound guilty is a good idea (unless you want the 911 operator to treat you as the at-fault party), you will be required to provide the 911 operator with generic information about your car crash so that he/she can dispatch emergency personnel as soon as possible. Meaning: What actually matters is what you are saying to the other party(s) at the scene of the car accident, witnesses, and police officers, our Long Beach car accident lawyer explains. and other signs and landmarks that will help emergency personnel find you ASAP. If someone has been injured, let the 911 operator know that medical personnel are needed. If there is fire or risk of explosion due to leak of combustibles at the scene of the car crash, tell the 911 operator about it and all other dangerous conditions at the scene. Q: Do the police have to respond to every car accident? and, among other things, find out what type of insurance coverage (if any) the other driver is carrying. Q: What are my legal duties after a car accident in California? If asked, show your driver’s license. Q: What to do after a car accident if I have been injured? It is best to receive medical attention after a motor vehicle accident even if it seems as if you are feeling fine. Do not mistake your lack of pain for lack of injuries, as adrenaline is quite good at masking both pain and injuries. If you have been injured, call the paramedics as soon as you can (or ask someone at the scene of the car crash if you are physically incapable of dialing 911). As you are waiting for the medical personnel to arrive, it is highly advised to contact a Long Beach car accident lawyer who would give you a free consultation and arrive at the scene to collect evidence, help you file a personal injury claim and seek compensation for your injuries, damages, and losses. Contact the JML Law for a free case evaluation today. Call our Long Beach offices at 818-610-8800 or send us an email.